Providing you with a personal life mentor, coach, counsellor, adviser, and family when you are studying and living abroad. It is in your mother language. It is highly confidential, we follow the BACP (British Association for counselling&psychotherapy) ethical framework to protect both you and our guidance counsellors. Conducted in a place where both you and our guidance counsellor will feel safe and comfortable. Such as a café or place near you. Hourly sessions with appointments to suit your timetable. Share the same cultural background and speak the same language as you. Have had professional training in counselling, social work or relevant areas. Have at least three years experience living in a foreign country. The only thing you need to do is to fill in this form which takes less than three minutes. 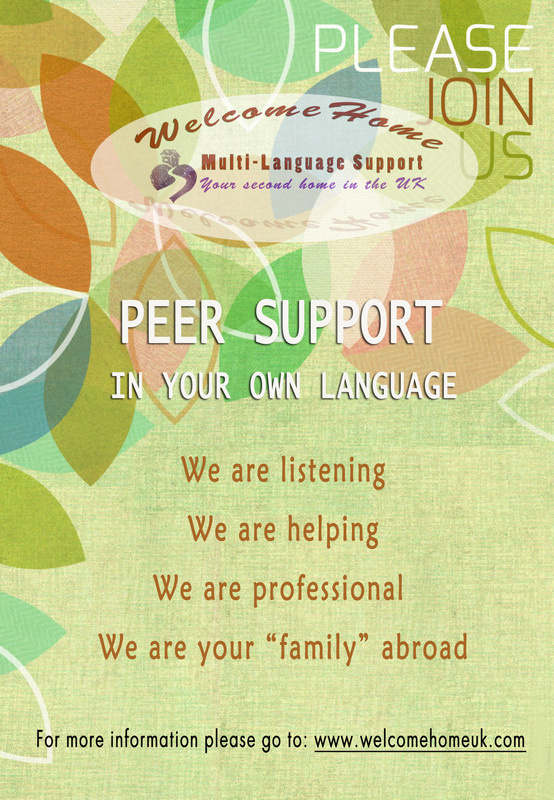 We will find you a peer support counsellor and contact you to arrange the meeting. To be able to keep the project running we charge £10/hour for students, £15/hour for non-students. This is not professional counselling service, the aim of the service is to general support you to live, study and work in a foreign country. To find out more about our professional counselling service, please click ﻿here﻿. This is one-to-one support services; we also provide group support services, for more information click here. To protect you and our peer support counsellors, please do not contact them privately. However you are welcome to contact us by email at : ﻿info@welcomehomeuk.com﻿ for any inquiries.